Fridays are my new favorite. At Shore, I am officially stepping down as a floor manager and moving away from managing the store. I have been being pulled in a lot of directions, but will now be concentrating just on the swimsuit buy and merchandising. I am most excited to be just doing the creative side of my job, but also am excited because I get a real work week! I'll have most Saturdays and Sundays off, no more late nights there until 11PM, and feel like a real grown adult. I think this calls for a celebration. Another reason Fridays are my favorite day of the week is because of my Lustful Fridays posts. Who doesn't love looking at all of their favorite things for the week? So we will keep the tradition going with some of my new favorite things. These shorts are perfect for summer. I am loving bright, printed shorts mixed with a flowy tee right now. I mean I have always loved it because of comfort, but now I feel like there are so many awesome printed shorts to choose from, there's something for everyone. I've also been dressing them up a lot lately by either adding a casual wedge, a fun bootie, or dressier sandal. These are only $14.50 so I'm pretty sure they'll be in my closet in no time. I am obsessed with Mikoh swim. We just started carrying this line at Shore and it has been an absolute hit. The material is from Indonesia and is the softest swim fabric I have ever felt. Don't let it's softness fool you though. The pieces are expertly crafted and can accentuate all of your positives, while not causing any unwanted bulging in your not so positive spots. The lines of this suit are so fun and sporty. Perfect for a paddleboard date. The problem though... the tan lines will be really silly. And at $100+ per piece do I really need another swimsuit and I have to have an occasion to wear it for? I really love the look of crop tops with high waisted matching skirts. It's a great look for almost anyone. You just have to make sure you get the right fit so both pieces hit you at your smallest point. This can make it difficult finding a set that flatters you, but makes it fun when you finally find the right one. I love that these pieces are knitted, and even more, I love the open back detail. I would wear the crap out of this. Unfortunately though, I found this image on Pinterest and there is absolutely no information about the designer what so ever. We may never know where to find this little gem. Valentino Rockstuds... You pricey little bastards, GET IN MY CLOSET. These little stinkers have been taunting me with their awesomeness for over a year now. It's pretty clear after seeing my obsession with the Alexander Wang bag last week, my boyfriend and now these Valentino's, I'm into studs. (Get it?) All jokes aside, the nudeness of these shoes, the pointy toe, and the studs for a little punk rock in your life... I love it all. Just like my Wang bag though, these would be a purchase that would pretty much drain my checking account for a few weeks or at the very least put me on a no buying anything else for 6 months regimen... That doesn't mean that Danny shouldn't buy them for our anniversary though. POUFS! I love these. I want like 5 of them spread throughout my house so we have extra seating just in case. 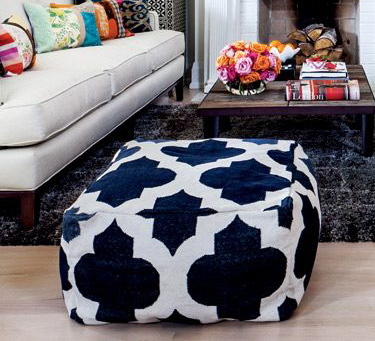 Poufs are the best. And last but not least, I feel like I have been thinking a lot about getting another pup. It's not a great time right now because we are planning so much traveling in the next year, and that's not really fair to leave another dog with my parents so much. 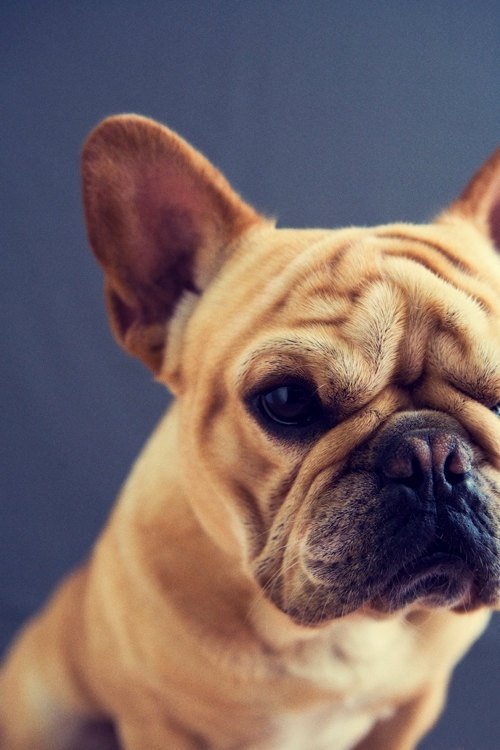 But every time I see a picture of a Frenchie I get all befuddled. At just about double the cost of my rockstuds initially, and then the monthly cost of the a small child, I would say this is hands down the most expensive item on the list. But definitely worth every dang penny. LOOK AT THAT FACE?!?! ?